Hi, I'm Matthew Meltzer. Welcome to my profile! Matthew Meltzer's father, Ed Meltzer, gave his first driving lesson on Labor Day 1928. He was the Charter President of the East Fishkill Rotary Club. He was posthumously honored as a Paul Harris Fellow by The Rotary Foundation of Rotary International. He taught driving for more than fifty years. I, Matthew Matthew, have been giving driving lessons since February 1974. For me, it is not a part-time job like other instructors; it's a career. If you want the best professional driving instruction, learn from Meltzer's Driver Training Center with a career instructor - ME. The Meltzer's Driver Training Center philosophy is to find people who want to drive and are capable of becoming drivers and to do what is necessary to assist them in this endeavor. Sometimes this is with Driving Instruction or Road Test Service or Driver Evaluation or Vehicle Modification Evaluation. The list goes on. 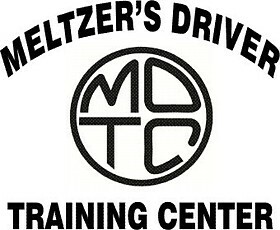 Meltzer's Driver Training Center is based in Dutchess County yet has served people to the South on Long Island and in New York City, to the North in Albany, to the East nearing Connecticut and to the West nearing Pennsylvania and New Jersey. Some people travel to the Hudson Valley for services. To some people, I do the traveling. I am well known for my expertise in the field of training those with Learning Differences. Tutoring is available for those who are having trouble or even for those who anticipate having trouble passing the New York State Learner Permit Test. I give Driver Training to people of all ages (16 thru 95 - so far). I teach driving to many students with no disabilities. Driver Training is also available for those with Learning Differences, Physical Disabilities, and/or an Emotional Disability. February 1980 - Present | Here. Or, I travel to you. NYS Driver's Manual Review for those who have trouble memorizing the information in the manual for the NYS written test. Basic Driver Training for ages 16 to 95 (and higher if necessary). Road Test Preparation Service for those who already have driving ability. Road Test Service for those who have the ability and need to see the DMV Examiner. Stickshift (Standard) Driver Training: use of clutch and gear shift (customer supplied vehicle). Advanced Driver Training for those with true concern. Driver Rehabilitation for those who used to drive. Click on Driver Rehab. Driver Evaluation for those for whom there is a question as to their ability. Click on Driver Evals. Adaptive Driver Training for those who must learn how to drive using Adaptive Driving Aids. (See "Added to my Driver Training Car as necessary..." below) Vehicle Modification Evaluation for those who need to have a vehicle modified or Adaptive Driving Aids added in order to drive. Vehicle Modification Inspections to verify modifications or Adaptive Driving Aids were installed properly. Added to my Driver Training Car as necessary... Reduced Effort Steering by Drive-Master Hand Controls: Left hand use - Push / Pull Hand Controls: Left hand use - Push / Right Angle Hand Controls: Left hand use - Push / Rock Hand Controls: Right hand use - Push / Twist Steering Wheel Spinner Base: Mobility Products Design 10:30 & 1:30 on the Steering Wheel Orthotics: single pin, tri-pin, 2 inch knob - regular, 2 inch knob - with a slip resistant surface Steering Wheel Spinner Base: Sure Grip 6:00 on the Steering Wheel - either hand. Orthotic: Sure Grip 2" Spin Master Spinner Knob - with a slip resistant surface Steering Wheel Spinner Base: MPS Corporation 9:00 & 3:00 on the Steering Wheel Orthotics: MPS Palm Spinner Orthotics: MPS Quad Fork Spinner Directional cross-over lever Left hand gear shift Gear-shift extension Parking brake extension lever Guidosimplex or Veigel Left Foot Accelerator Pedal with an OEM Gas Pedal Block (EU 010) Transfer board IMEC Torso Support Positioning Belt 2" - 15" Pedal Extensions Air Bag Deactivation Switch - Driver's Side Home made 2" Raised Floor Wide Angled (Full view) Mirror for student use Fit System (special side-view) Mirrors by K-Source, Inc. for students who have difficulty turning their head Seat Cushions (2" - 8") Seat Back Cushions (1" - 4") for those with pain in the lower back or for those with extra short legs. Key Extender Handybar - personal safety and support handle Always there... Windshield mounted Wide Angled (Full view) Mirror for my use! A GPS. I don't leave home without it -- I might not get back!! Then again, if I do forget, my Droid has it's GPS also. Driving Instructor Brake from O S Brake, Inc. (Ahhhhh - MY LIFE LINE!) ... It is always there!! !